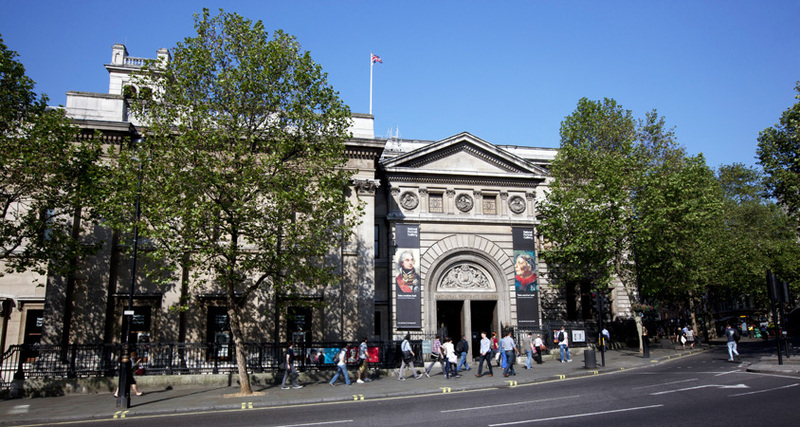 Founded in 1856 and located just off Trafalgar Square, the National Portrait Gallery is home to the largest collection of portraiture in the world, featuring famous men and women who have helped shape British history from the great Tudor courts to the present day, with contemporary portraits reflecting the diversity, inventiveness and multi-culturalism of modern-day Britain. By weaving together 500 years of history, art, biography and fame, the Gallery offers a unique and fascinating insight into those individuals that together characterise a nation. Visitors can come face to face with kings and queens, courtiers and courtesans, politicians and poets, soldiers and scientists, artists and writers, philosophers and film stars. Its 3,000 paintings feature some of the most iconic and instantly recognisable faces in British history, from Elizabeth I to J. K. Rowling, with artists ranging from Holbein to Hockney. Behind each image is a fascinating story giving an insight into an individual who stood out in their generation and enriched our culture and national consciousness.